New, low-power data connections are sparking a proliferation of asset tracking solutions, thanks to their low cost of deployment. The effects can be seen in multiple applications, particularly transportation and supply chain management. In a typical application, a sensor provides updates from a given location, transmitting data about temperature, humidity, pressure, and motion. 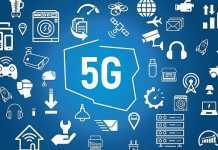 The sensor only needs to transmit small amounts of data, which results in higher coverage and ultra-low power consumption, enabling far greater device longevity. The sensor’s battery must last from several weeks to a few years. Asset tracking, depending on the application, may require the deployment of several tracker devices. Accordingly, these asset tracker devices must also be small, portable, and cost effective. In this design solution, we discuss the power management challenges encountered by a typical battery-operated asset tracker device and show an example using a small, high-efficiency buck converter. Figure 1 illustrates a typical tracking communication chain. 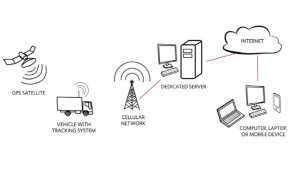 The asset being tracked transmits the data via a beacon, which reaches a server through a dedicated cellular network. From here, the data reach the enterprise portal for asset management and analytics. In the factory environment, asset tracking brings the management of facilities, vehicle fleet equipment and maintenance into a single platform, resulting in improved safety, productivity, and extended asset life. 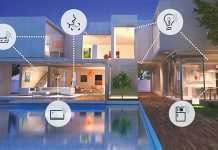 A new generation of beacons connects directly to dedicated cellular networks (LTE-M, NB-IoT), eliminating the use of Bluetooth to communicate with a gateway. These technologies can be very different but are all characterized by low-power consumption, enabling several years of battery life (Table 1). 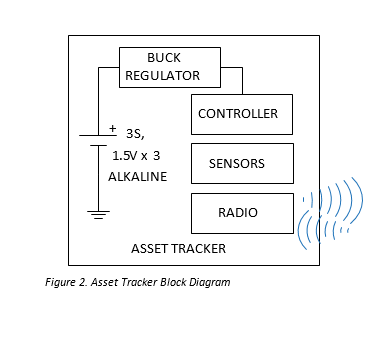 Figure 2 shows a typical asset tracker block diagram. The three series alkaline battery supplies a charge of 2000mAh. A stepdown regulator powers the on-board controller, sensors, and radio. 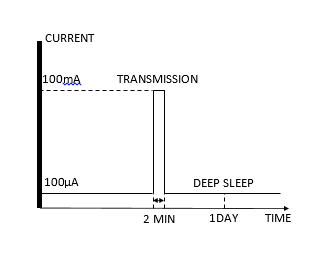 For demanding asset tracking applications, the system must last for a year on 3 alkaline batteries, drawing only 100µA in deep sleep, and transmitting 100mA once per day for about 2 minutes (Figure 3). While it is true that depending on power level and other options supported in the LTE-M or NB-IoT asset trackers, currents can be higher, for our discussion we will stick to the 100µA to 100mA range. High-use performance requires careful selection of each block for minimum power consumption. The buck regulator must be efficient over a wide range from 100µA to 100mA. For instance, a 4% average loss of efficiency by the buck converter translates into a field deployment reduction of about two weeks. η = POUT/(PIN + P’IN) = 180/(200 +10.8) = 86% A quiescent current of 3µA robs the buck converter of 4 efficiency points draining the battery significantly faster! On the other hand, a buck converter with 300nA quiescent current will barely reduce the efficiency, lowering it only half a percentage point. For asset tracking applications, it is critical to select a buck converter with ultra-low quiescent current as the system spends a majority of the time in “quiet” mode and relies on a battery. 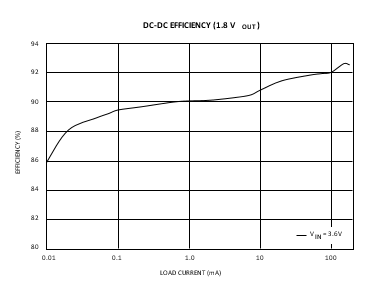 As an example of high efficiency, the nanoPower ultra-low 330nA quiescent-current buck (step-down) DC-DC converter shown in Figure 4 operates from a 1.8V to 5.5V input voltage and supports load currents of up to 175mA with peak efficiencies of 96%. While in sleep mode, it consumes only 5nA of shutdown current. 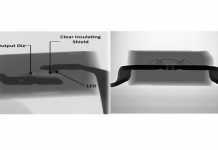 The device is housed in a space-saving 1.42mm × 0.89mm 6-pin wafer-level package (2 x 3 bumps WLP, 0.4mm pitch). If higher currents are desired based on power level in the NB-IoT or LTE-M networks, sister parts can deliver higher currents. 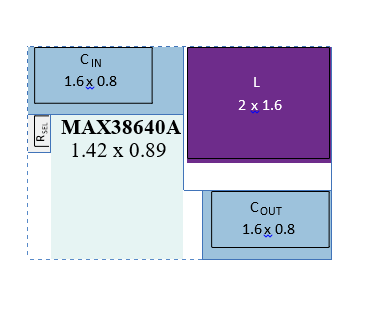 The nanoPower buck converter’s application footprint is shown in Figure 5. Thanks to its WLP package, high switching frequency operation, and small external passives, the net PCB area of the buck converter is a meager 7.1mm2. Figure 6 shows the efficiency curve of the buck converter with a 3.6V input and a 1.8V output. Synchronous rectification at high load and pulsed operation at light load and ultra-light load assure high efficiency across a wide operating range. An 87.5% high-efficiency operation at 100µA and 92% efficiency at 100mA makes the IC ideal for asset tracking applications. 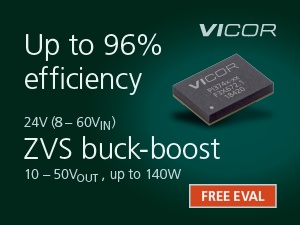 This buck converter has an advantage of several efficiency points compared to alternative solutions. 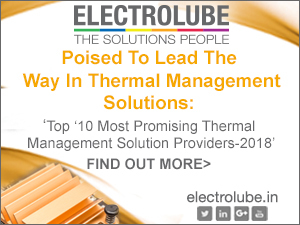 The benefits of high efficiency and smaller footprint go hand in hand, resulting in less heat generation. 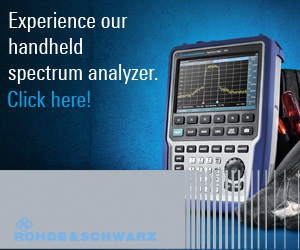 This helps in designing a smaller, cooler asset tracker, easing concerns of device overheating. Asset trackers, depending on their specific application, must operate in the field for several weeks to a few years powered only by small batteries. This type of operation requires careful selection of each block for minimum power consumption. The buck regulator must operate efficiently over a wide input current range, from tens of microamps to hundreds of milliamps. 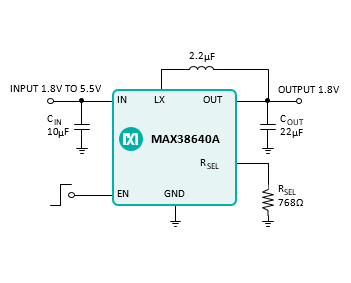 The MAX3864x nanoPower buck converter family, with its high efficiency and small size, provides an ideal power solution for asset tracking applications.